The Capitoline Hill, the lowest of the city’s seven hills, started life as a fortified stronghold and later became the political and religious power centre of the ancient world. 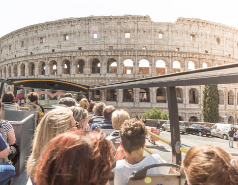 Overlooking the Forum on one side, and the traffic-clogged Piazza Venezia on the other, it links the ancient Rome with our own. 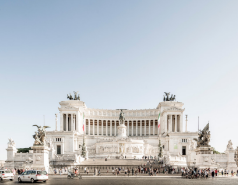 There’s no better place to start your explorations than the harmonious Renaissance Piazza del Campidoglio (Capitol Square), between the Capitoline Hill’s two peaks. Built on the site of an ancient sanctuary, it was designed by Michelangelo with the staircase that leads to it, and the buildings that flank it. Pope Paul III commissioned him to create a majestic setting for the reception of the Holy Roman Emperor, Charles V, on his visit to Rome in 1536. 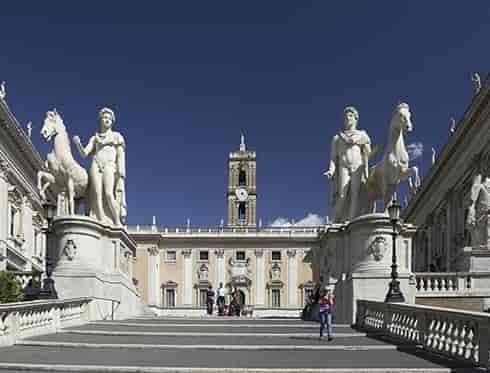 Two imposing statues of Castor and Pollux stand guard at the top of the Cordonata, as the elegant staircase is known. The piazza’s centrepiece is a first-rate copy of an immense bronze equestrian statue of Emperor Marcus Aurelius. 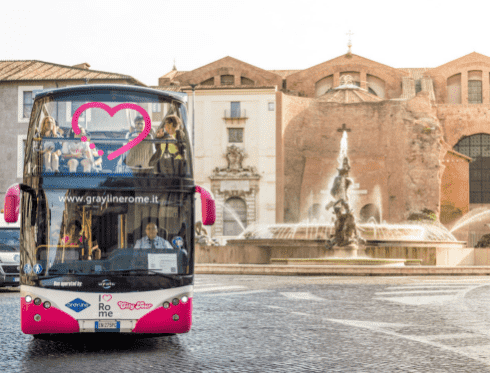 The original is kept inside the Capitoline Museums, housed by the two grand palazzi facing each other across the square: the Palazzo Nuovo and Palazzo dei Conservatori. They contain the world’s oldest public collection of sculpture, with Ancient and Medieval masterpieces, but also pieces of Renaissance, Baroque and XVIII century art.